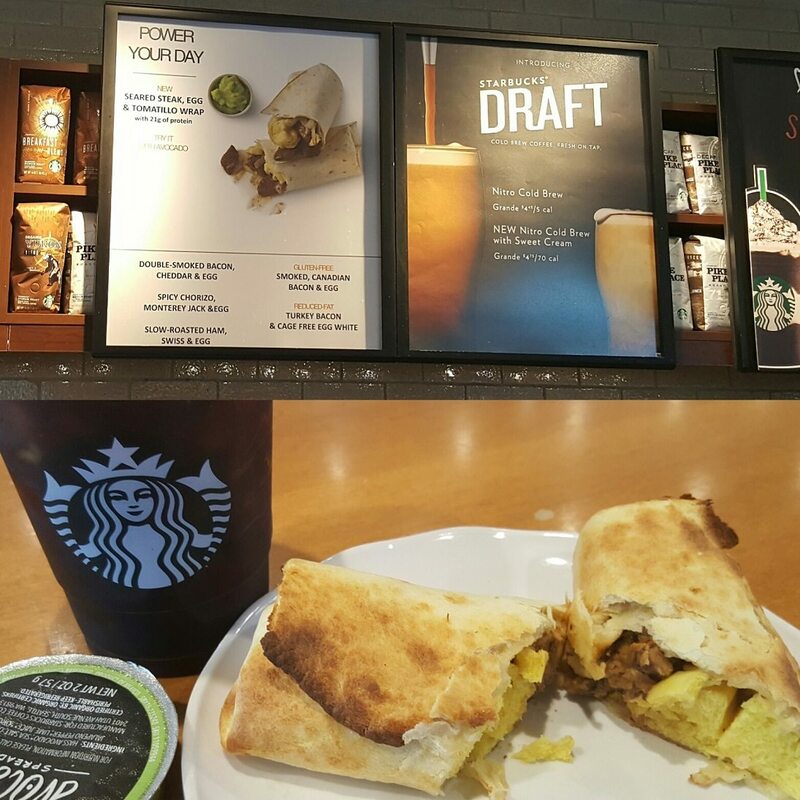 Something very delicious is just around the corner at Starbucks: The new Seared Steak, Egg & Tomatillo Wrap is nearly here. It’s a hearty breakfast steak wrap with a toasty tortilla wrapped around seared steak, egg, and a light tomatillo dressing with some a few grilled onions in the mix. This is not spicy at all, though it sounds like it might be. What isn’t a little better with some avocado? Starbucks suggest a little avocado with this one. I also recommend the Sriracha with this one. 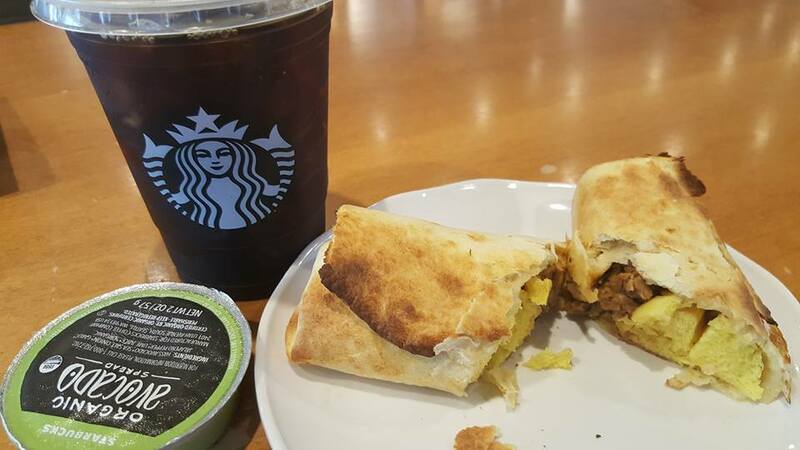 Each little wrap is $4.95 and of course you can redeem a Starbucks Reward to get a wrap too. My sources say this coming to stores in the U.S. at some point in July. I’m not exactly sure when in July, so be on the lookout for it next month. Right now, it is not a national U.S. release item. I did get a chance to try it. Take a look! You can’t go wrong with that amazingly delicious tortilla to bring everything together. 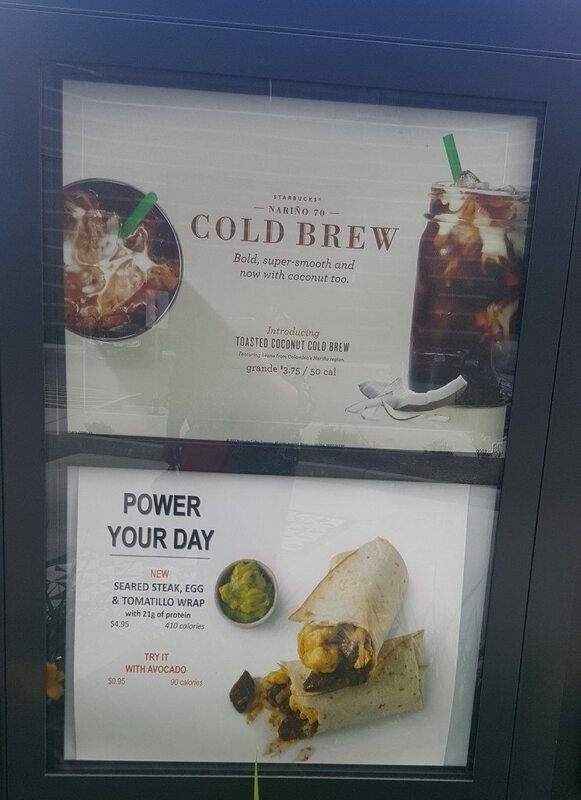 Each wrap has 410 calories. If you’ve tried this, let me know what you think! Enjoy a few more photos (one if an image of it on a drive thru sign). 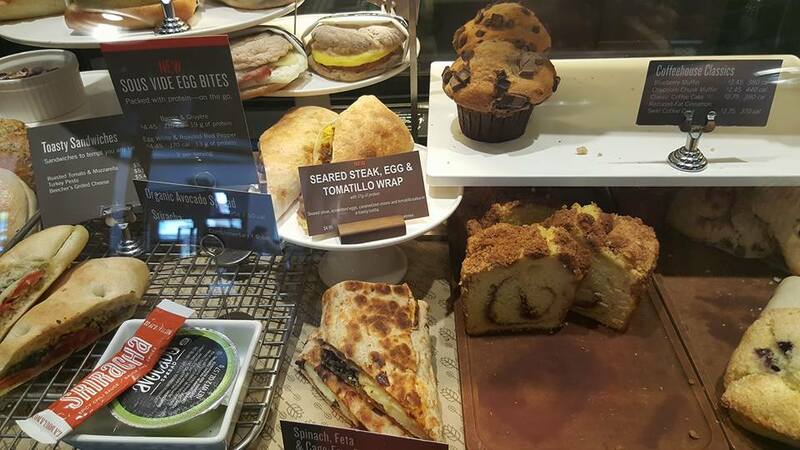 A look at new food at Starbucks: New panini gets 2 thumbs up. Grilled cheese gets 2 thumbs down. 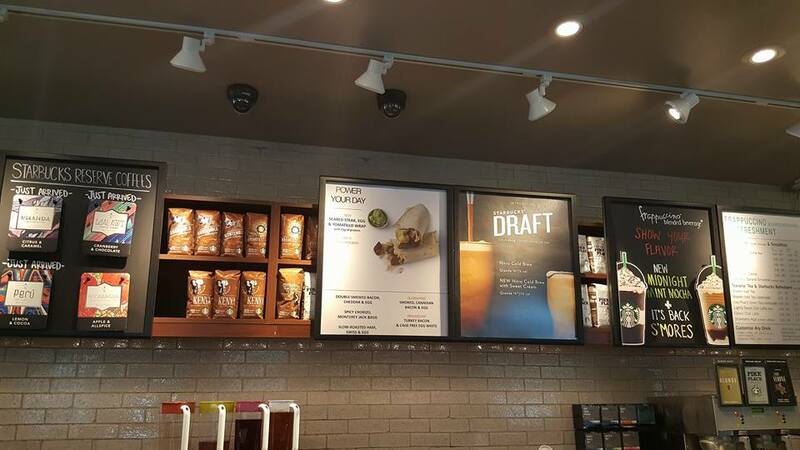 Revealed: What Your Barista Likes to Eat at Starbucks. Yaaaas I can’t wait for this. @Grant – I think the breakfast options have really improved over the past couple of years! mmm I love steak and eggs- this will be so tasty! I just redeemed a star reward to try this. The flavor was great! The eggs seemed a little weird to me, almost spongy. They said this was not spicy, on a scale of 1 to 5, I would say this is about 2 to 2.25, as I know many people that would find this a little too spicy. I thought it was just right, and I had it with the avocado spread, which will cool it down for those who cannot tolerate hot foods. I wasn’t crazy about their avocado spread, because I thought it was way too salty. But I’m an avocado purist, and don’t like much added to my avocado when I make guacamole, except for fresh vegetables and any spices I use. All in all, I think it’s a good addition to their menu. On a scale of 1 to 10 I would give this one an 8. It was more like a chimichanga or hot pocket. Not my cup of tea. However the avocado spread was great. Our district in Canada just released this as a test item for Summer 2! Taste great and very hearty. It is flvirless(all components) and disgusting. Not bad. The egg and steak are separated for some reason.